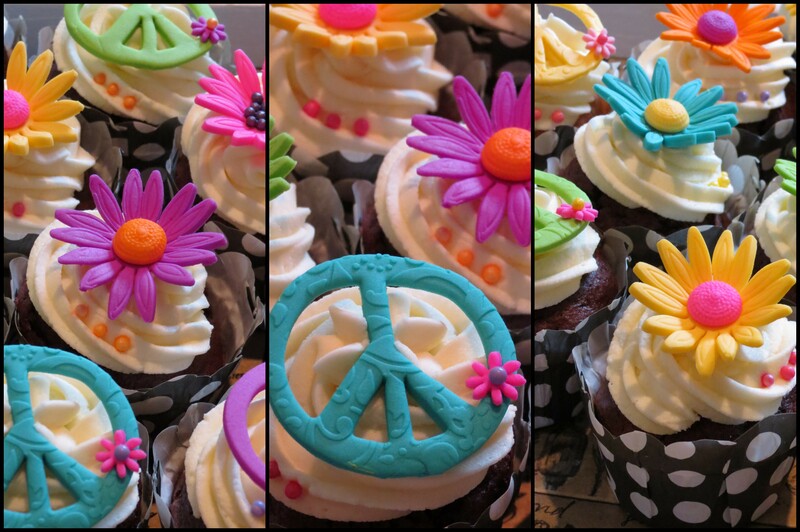 Lauren celebrated her 21st with a Hippie Hipster theme and her mom, Sharon asked me to do cupcakes with peace signs and daisies in bright colours. I chose a combination of yellow, blue, purple, pink, orange and green and made daisies with bright centres and peace signs. 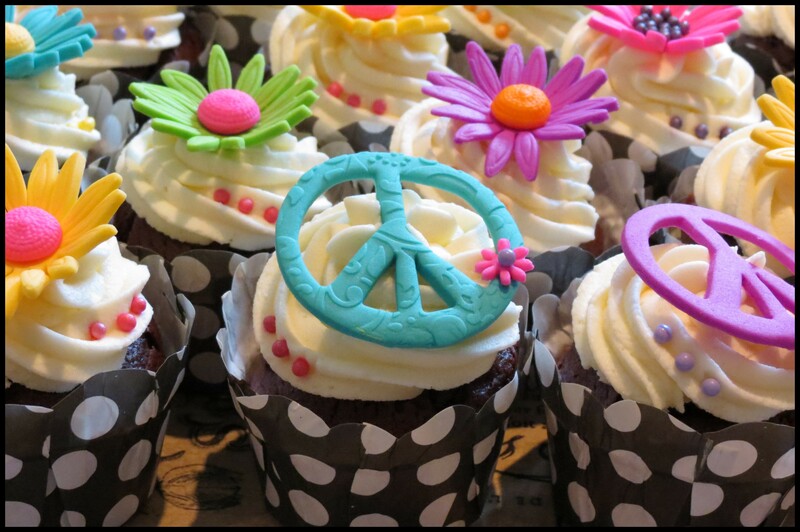 To make some of the signs stand out I embossed my sugar paste before using my cutter to cut out the sign and I added a tiny daisy to each one before popping them on to the cupcakes. Thanks Sharon and Lauren for a fun and colourful order!